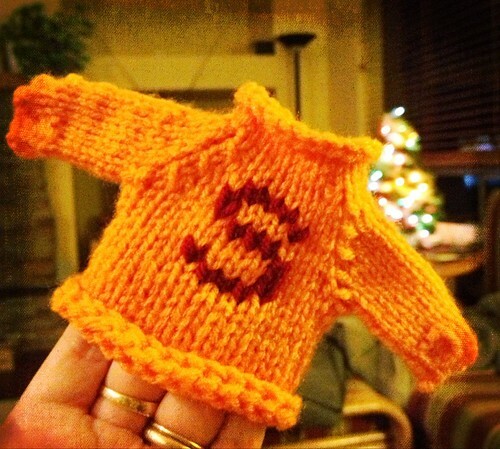 For the person who instigated the whole thing, I knit up a wee weasley-esque sweater. 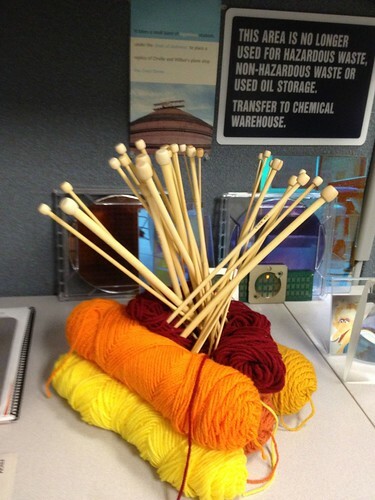 Knits up in the round just like a real sweater! After perusing a bunch of patterns, I thought these might fit the bill. 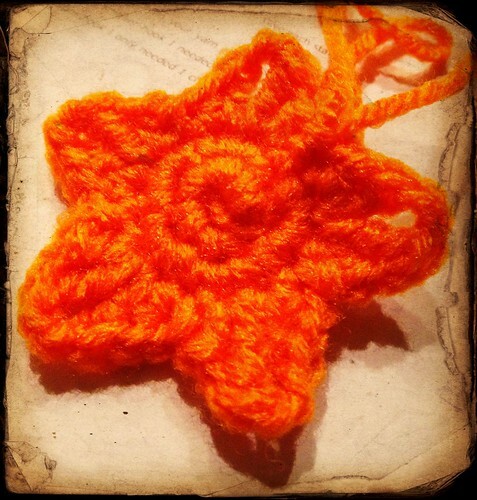 Pattern: Granny Star – these work up quickly and once I completed a couple of them, I had the pattern memorized. I opted to go with a ch3 rather than a ch2 on the last round as that resulted in better points on the stars. 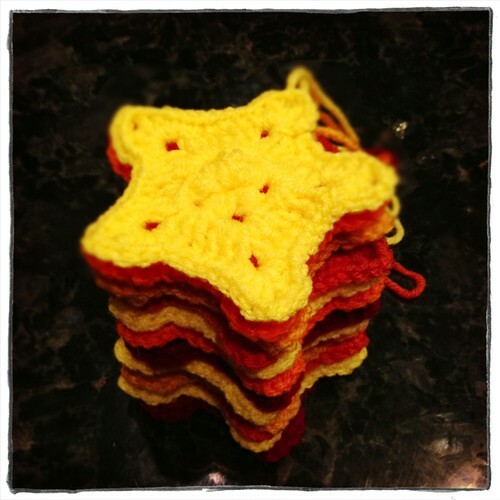 My coworkers seemed to enjoy these ornaments, and I received several photos of my stars on trees – it’s always nice to find that a handmade gift is appreciated and cherished!